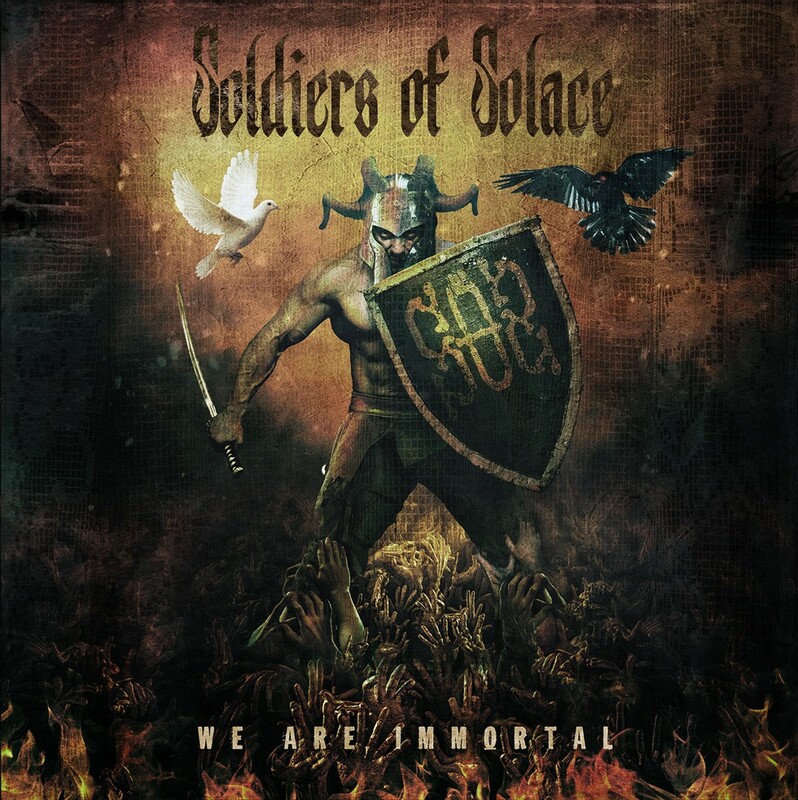 Soldiers Of Solace To Release Debut Album "We Are Immortal" On January 26, 2018 - Welcome To All That Shreds Magazine! Heavy rockers SOLDIERS OF SOLACE, will release their debut album ‘We Are Immortal‘ on January 26, 2018, via German-based label Rock’N’Growl Records, a division of Rock’N’Growl Promotion. The album includes ten tracks and was produced by SOLDIERS OF SOLACE, recorded at Dexters Lab Recording LLC by Nick Bellmore and Zeuss. All tracks were mixed and mastered by Zeuss. The official ‘We Are Immortal‘ album video teaser can be viewed below. The cover artwork was made by Andy Pilkington of Very Metal Art (Soil, Flotsam & Jetsam, Fury, Kissin’ Dynamite, Bloodstock Festival). SOLDIERS OF SOLACE is an all original, hard-hitting, American heavy rock band, comprised of five members: Jason Longo on vocals, Ron Therrien on bass guitar, Luis Cubille on rhythm guitar, Jeff Fahy on lead guitar and all the way from Italy, Francesco Daniele on drums. SOLDIERS OF SOLACE has shared the main stage with national acts such as “Nonpoint,” “Jamey Jasta” of “Hatebreed” and “Scott Stapp” of “Creed.” With poignant lyrical content, driving riffs, thundering beats, and powerful live performances, SOLDIERS OF SOLACE is making their mark on the international music scene and gaining fans and supporters worldwide. SOLDIERS OF SOLACE was played in regular rotation, alongside legendary and iconic rock and metal bands like: “Five Finger Death Punch,” “Shinedown” and “Metallica” and gained the respect of rock and metal fans and DJ’s across the world.